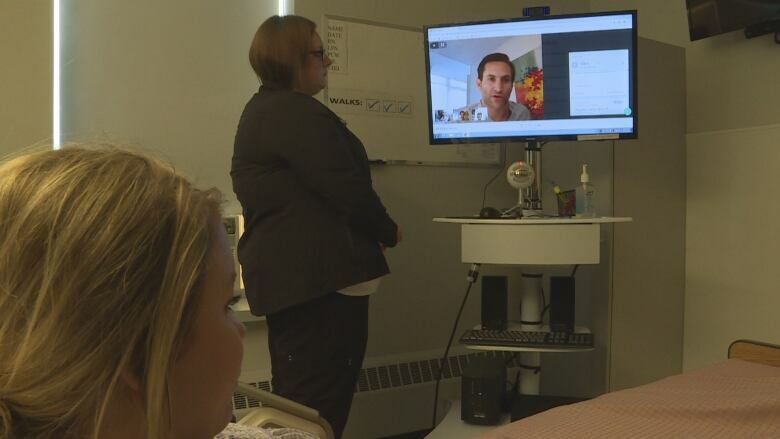 The President of the Canadian Medical Association, Dr. Gigi Osler, got a first-hand look Monday at a new virtual health-care project being piloted at Western Hospital in Alberton, P.E.I. The President of the Canadian Medical Association said she was impressed Monday with a new virtual health-care project being piloted at Western Hospital in Alberton, P.E.I. Dr. Gigi Osler was shown the "telerounding" project which allows patients without a family doctor to see a physician virtually. With the help of staff, the virtual doctor can do most of what any in-person doctor can. 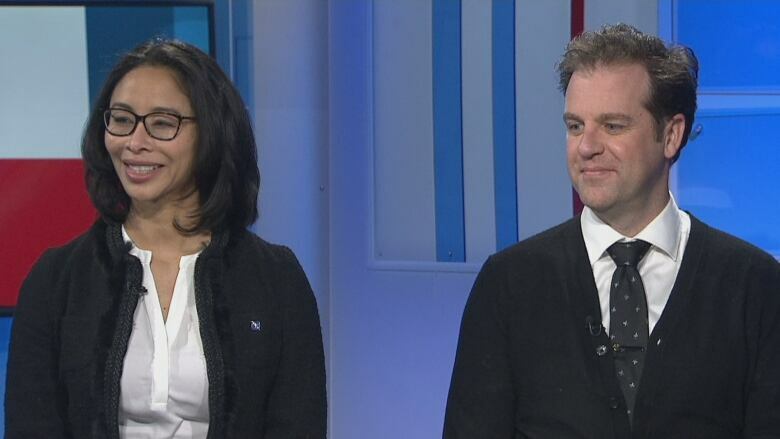 "The telerounding project at Western was really inspiring to behold," Osler told CBC News: Compass host Louise Martin. The association is trying to visit locations "doing really innovative projects to try to bring health care forward in the 21st century," Osler said. How technology is helping patients see the doctor in western P.E.I. Western P.E.I. has been unable to recruit and retain a full complement of doctors, said P.E.I. Medical Society president Dr. Kris Saunders. "Decisions had to be made to find a way to look after patients in the hospital without moving them," said Saunders, adding the project "really exceeded expectations thus far." Health PEI and the CMA said this project is not meant to replace doctors, but to fill in where there are temporary shortages. Osler said many Canadians support solutions like this. "CMA did a poll of Canadians earlier this year and 70 per cent of Canadians felt that virtual health care could deliver better care, better access in a more timely manner," Osler said. She is eager to spread the word about the project across the country, she said. "We have to make sure we're doing it in a way that's safe for the patient — can we provide good, safe care without being able to lay hands on the patient in the same room? I think it's a concern everybody's had," said Saunders. "But so far it's really worked out well." The CMA is also looking at improving access to virtual medicine through a single national licence, since doctors must be licensed in the patient's province. This would also allow doctors more mobility across the country, even to fill in temporarily on locums. That could help P.E.I. 's doctor recruitment, she said. "You get folks living here, working here, meeting the people, finding out how friendly they are — it's a great recruitment tool," Osler said.